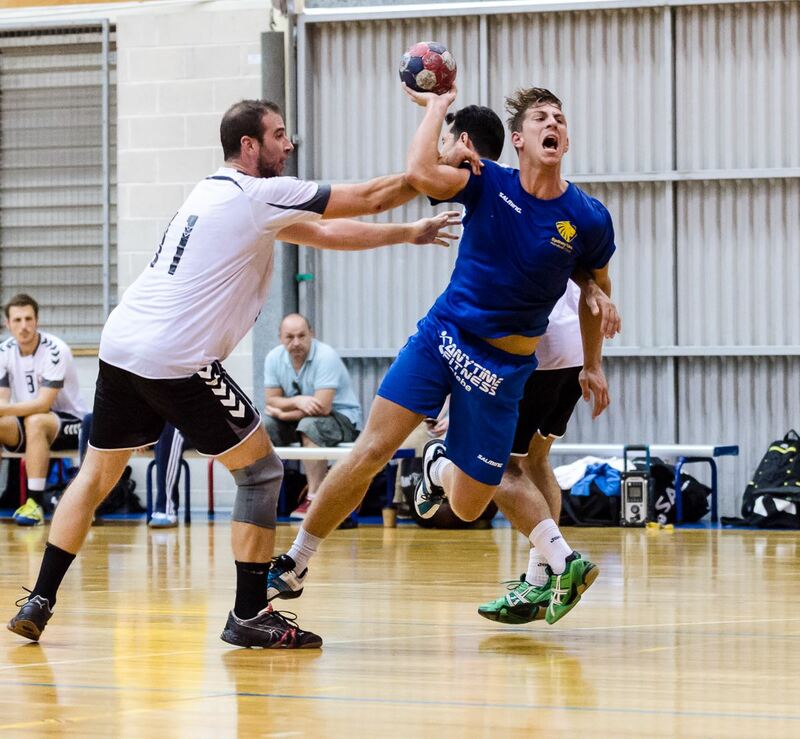 Sydney Uni HC has edged one step closer to qualifying for the IHF Super Globe. The Gold’n Blues beat club St Kilda HC in the final of the Australian Club Championships 34:28. 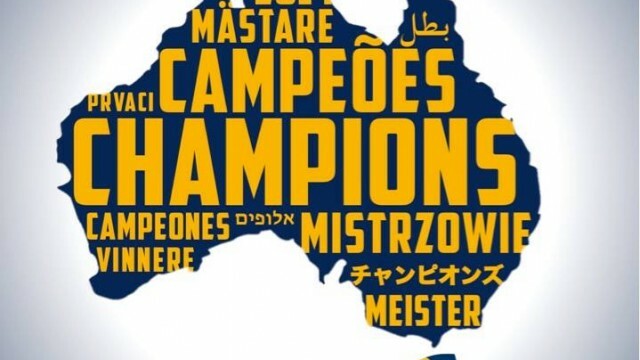 With this title, Sydney Uni qualifies for the Oceania Club Championships in June, where the continental representative for the IHF Super Globe will be determined. Over the last weekend Sydney Olympic park was host to the Australian Handball Club Championships, in which the four best club teams met to crown the national champion, but also determine Australia’s representative at the Oceania Club Championships which will be held in New Caledonia in June. As the defending Oceania club champions, Sydney Uni certainly started as favourites into the tournament – not least because of the international experience the club has gained over the last two years. Coach Philipp Ender’s team absolutely fulfilled expectations in the group phase of the tournament – having unmatched depth to its squad and playing fast, direct handball. All three opponents were beaten relatively clearly – St Kilda 30:22, Hills HC was only able to keep up for one half before going down 32:21, and Logan Wizards were disposed of 30:16. There was no indication that Sydney Uni would be seriously challenged when meeting St Kilda again in the final. But the reality was very different. The team from Melbourne had done their homework and offered much more resistance than in the earlier encounter, drawing from the tactical maturity of their experienced players. Lead by former National team player Velibor Vujaklija and Serbian Bratislav Stankovic, a formerly player of Nis, Bologna and Partizan Belgrade in the ECL, they played very cleverly and to their strengths. With an aggressive defence on Sydney Uni’s left they successfully stopped the flow in Enders’ team, and forced Sydney Uni into unprepared shots. Sydney was somewhat unlucky with several hits to the post too – and whatever was on target was taken care of by former Sydney Uni goalkeeper Thomas Gerstch. The result was a 5 goal deficit just before half time – not what anyone had anticipated. The boys in blue and gold picked themselves up in the second half though, putting their game plan to practice – hard defence, good rotation and flow in attack, plus fast starts. 15 minutes from the end, Sydney Uni had overcome the deficit and one could sense that St Kilda was struggling to keep up with the pace and intensity. Just as the game was about to tip though, Sydney Uni missed their ‘big points’ again – which left the game in open right up to the wire. Sydney Uni was eventually even lucky to save a draw into overtime when St Kilda missed a fast break just 15 seconds from the end. Sydney Uni’s superiority in terms of fitness, pace and agility finally came to fruition in overtime, during which Coach Enders’ boys created a margin of six goals and were finally able to celebrate their title. 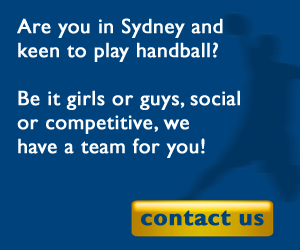 We're one of Australia's leading handball clubs, striving to propagate handball down under, and to represent Australian handball internationally. We pride ourselves in having teams at all levels, from elite to social, male and female, with players from a diverse set of backgrounds.